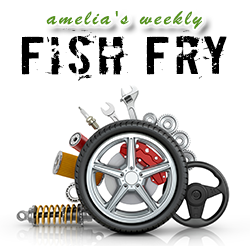 In this week’s episode of Fish Fry, we take a closer look at the world of formal verification. Dave Kelf (OneSpin) joins us to discuss the mechanics of systematic verification and random verification and why automotive and other safety-critical applications may prove to be the most effective use of formal verification yet. We also chat about the themes found at this year’s Design Automation Conference including why Dave believes that the convergence of HLS and System-C, FPGAs, and safety-critical applications made DAC 2017 one of the most exciting conference years to date.